I have seen Peg Legs by Patterns For Pirates (P4P) everywhere online and decided to give them ago. Sadly my peg legs didn’t work. Firstly I want to stress the reason they didn’t work has nothing to do with the pattern. The pattern and tutorial are really easy to follow, there is even a video you can watch just to see how easy they are to make. I had no trouble with actually making them it was the fit that didn’t work. I should’ve done my research and actually read the blog post on the P4P blog about making Peg Legs before I started them. I think I have used the wrong fabric. The fabric should be a 4 way stretch knit and mine wasn’t, I used a cotton jersey that was so soft but it just wasn’t right for this project. I couldn’t pull them up past my thighs and in the legs I just got my calves through them. Even though my legs are fairly toned there was no stretch in the tights. There is a possibility I may not have had the grain line the right way. I’ll be honest and say I didn’t check which way was the correct way for grain line with the jersey I used. 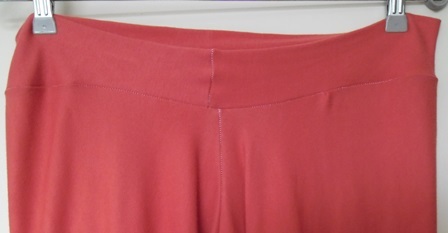 I had a minor mishap when sewing them together that the thread got jammed on the prongs of the overlocker. 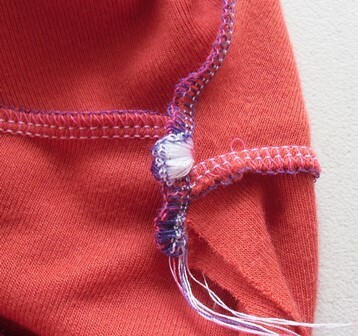 I calmly disconnected the power from my machine, lifted the presser foot and wiggled the fabric off. I didn’t panic or stress. I lowered the foot again, connected the power and this time started from the other end until I got to that section and went over it. All easily fixed. 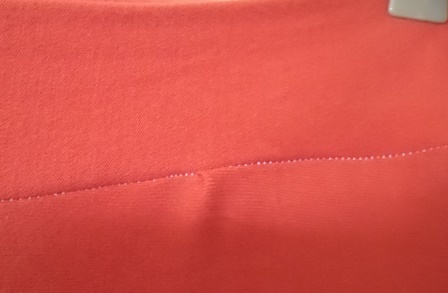 My thread was also showing through the seam, thanks to some online advice it is suggested I tighten the tension in my left needle. Also apparently you should match your thread colour to your garment 😛 I must invest in more coloured thread. On the positive side when I attached the waistband I only had one small pucker on each side, not too bad considering I can never sew curves properly. I am going to try these again. I will look for fabric that has a 4 way stretch. For my first attempt at sewing tights or any form of pants following the pattern wise I did pretty well am not stressed that they haven’t turned out properly. Peg Legs are a great first pattern to try as they are pretty straight forward. If you do wish to get the pattern I would suggest joining the Pattern For Pirates Facebook group first as members get a special discount code to use when purchasing the pattern. Oh and I clipped the seams together instead of pinning them. Clipping was perfect as I could easily remove them before they went near the cutting blades.